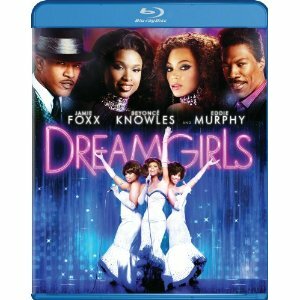 WorldMovieStore - Dreamgirls Sinopsis. The spirit of Motown runs through the long-awaited film adaption of the Broadway musical Dreamgirls, which centers around a young female singing trio who burst upon the music scene in the '60s, complete with bouffant hairdos, glitzy gowns, and a soul sound new to the white-bread American music charts. Sound familiar? The Dreamettes--statuesque Deena (Beyonce Knowles), daffy Lorell (Anika Noni Rose) and brassy Effie (Jennifer Hudson)--are a girl group making the talent-show rounds when they're discovered by car salesman and aspiring music manager Curtis Taylor Jr. (Jamie Foxx). Sensing greatness (as well as a new marketing opportunity) Curtis signs the Dreamettes as backup singers for R&B star James "Thunder" Early (Eddie Murphy). (Stage fans will also note that numerous songs are either truncated or dropped entirely from the film.) Murphy is all sly charm and dazzling energy as the devilish Early, who's part James Brown, part Little Richard, and all showman. --Mark Englehart. Read More Sinopsis. 0 Response to "Blu-ray Release Dreamgirls"